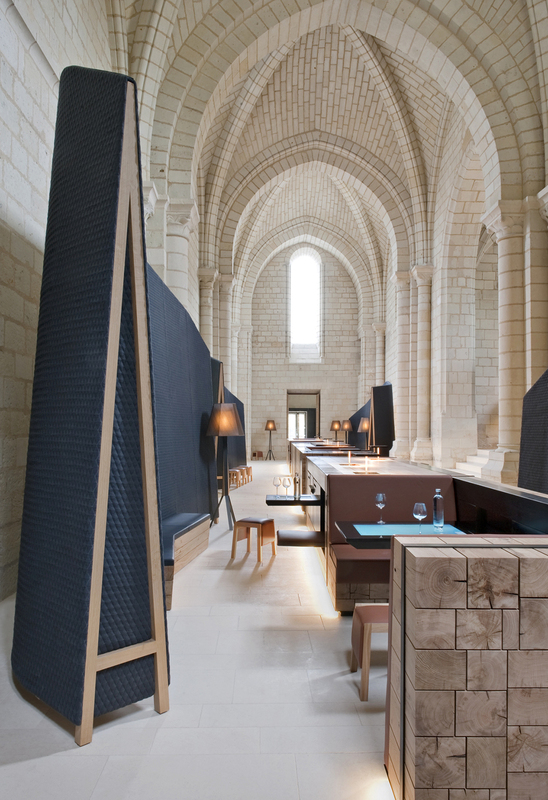 Taking shelter in the Loire Valley stands one of the largest monastic sites remaining from the Middle Ages. 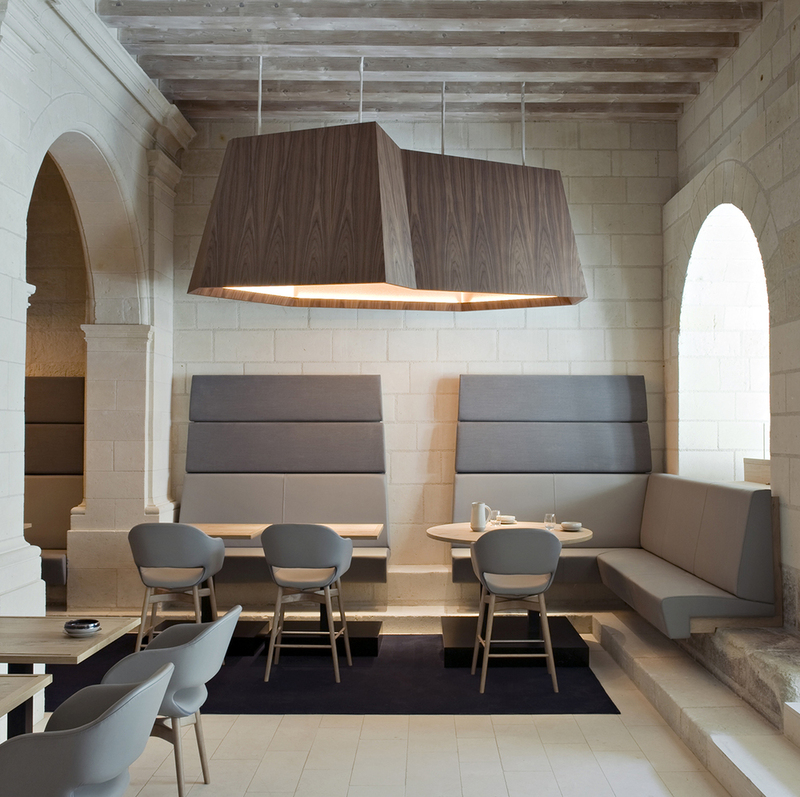 Converted to a modern hotel by a team led by Abbey Director David Martin and designer Patrick Jouin, creative director of Jouin Manku, the Fontevraud L'Hôtel has become a historical location with a future, rather than simply a site to reflect on the past. Built in 1101, the Abbey was open to both men and women from all backgrounds, including aristocrats and penitent prostitutes. 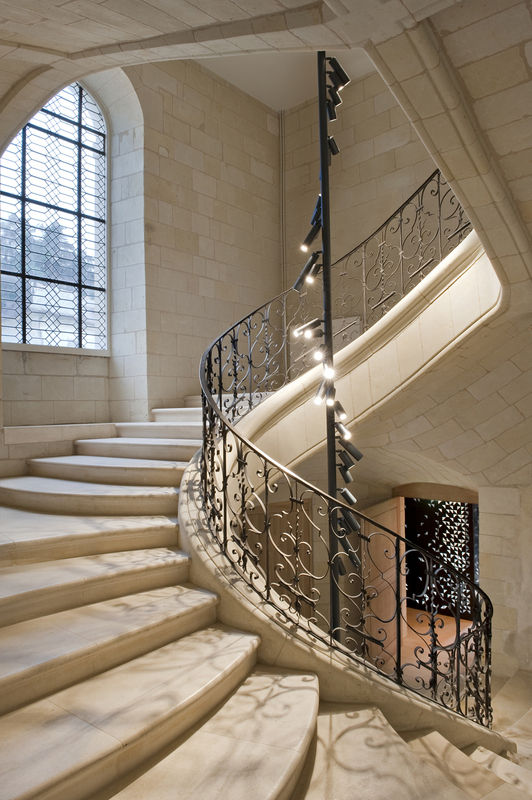 In the early 19th century, Napoleon converted the monastery to a prison, saving it from certain destruction. It remained a prison and hospital until 1963, when it began undergoing a series of restorations which paved the way for it's current incarnation. 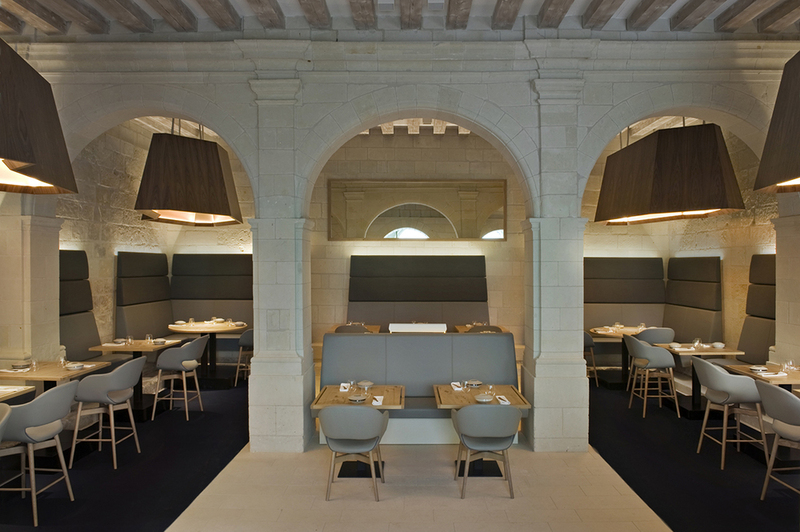 The vision for the Fontevraud L'Hôtel is that of a ‘Cité Idéale’ where cultural, intellectual, residential and commercial interests coexist through a commitment to hospitality and providing unique experiences for guests. 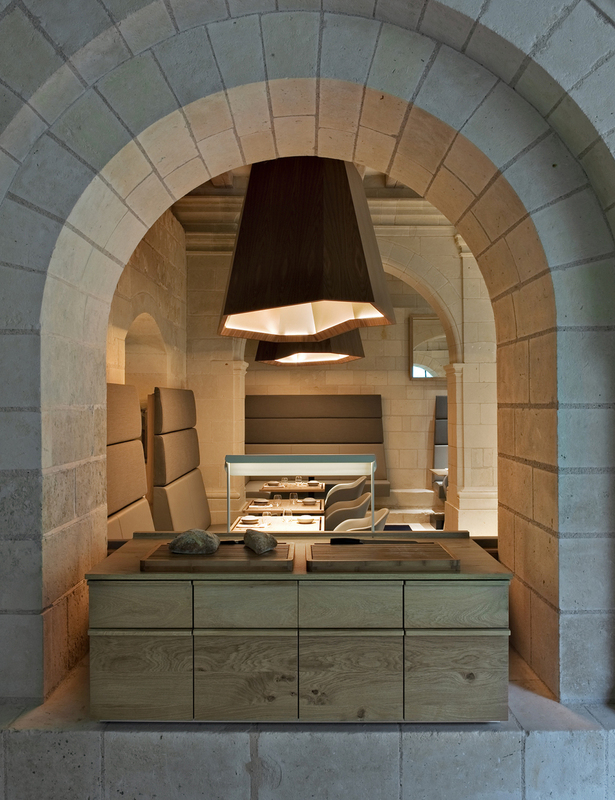 The ability to inhabit history within the centuries old walls while enjoying modern comforts and haute cuisine is truly remarkable. 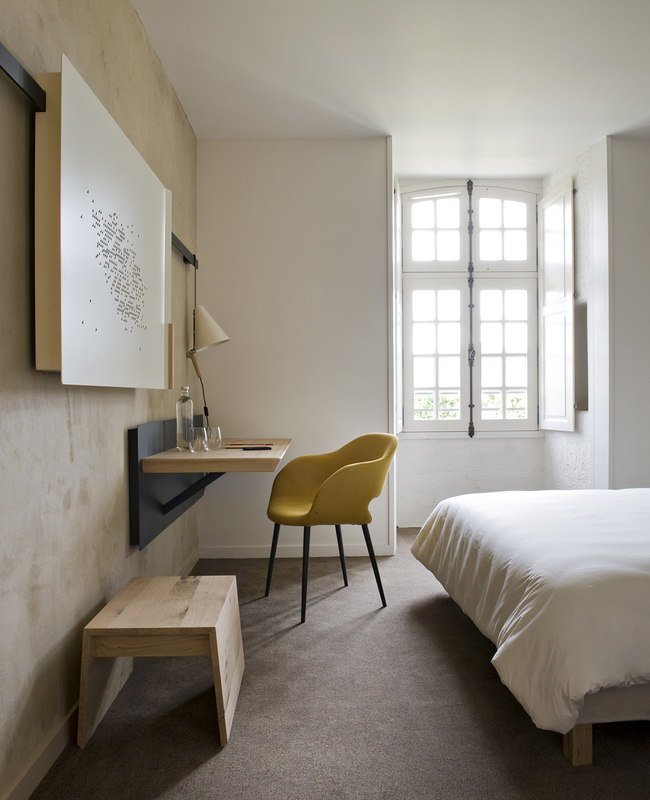 Jouin's contemporary design asserts itself amidst the breathtaking masonry of the Abbey in a contained yet striking manner.